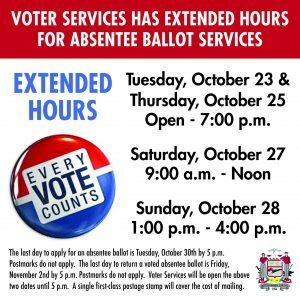 The Voter Services office of Montgomery County will extend its hours next week to accommodate any one who needs to apply for an absentee ballot or submit a completed absentee ballot. Voter Services will stay open to 7 p.m. on Tuesday, Oct. 23rd and Thursday, Oct. 25th and will open from 9 a.m. to noon on Saturday, Oct. 27th and from 1 to 4 p.m. on Sunday, Oct. 28th. 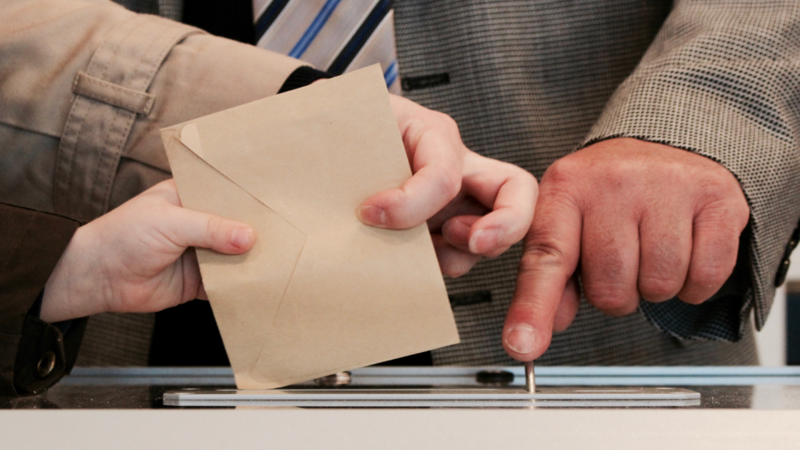 The deadline for submitting an application for an absentee ballot is 5 p.m., Tuesday Oct. 30th and the deadline to return a completed absentee ballot is 5 p.m., Nov. 2nd. Postmarks do not apply.